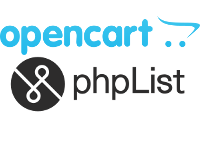 Convert osCommerce product database to Opencart, configure several custom Opencart modifications, configure site for SSL, configure phpList for client database etc. I needed to upgrade from an old OSCommerce online shop to one which would be compliant with mobile devices. Lloyd exported all the product data and set up an Opencart online shop system within a few days. The transfer was seamless, as customers were able to use the old shop, right up to the point when the new one was ready. The new shop has many more features than OSCommerce and sales increased significantly with the new look shop. Lloyd was able to advise on GDPR compliance. He also assisted in setting up SSL on my domain. As part of the new website I needed a system that would maintain a list of subscribers and send out newsletters as per my requirements. Lloyd set up the newsletter system so I can now send scheduled emails out to thousands of members in my database. Lloyd was helpful and dealt with any query I had. Due to the clients’ hosting company upgrading the PHP version without warning (to one that was no longer compatible with the existing osCommerce installation), we had an urgent need to get the cart software converted as soon as possible. So although this client had been considering upgrading their shopping cart for a while, their hand was forced on this occasion but it all turned out for the better. I was quickly able to get the OpenCart shopping cart up and running quickly by converting the osCommerce product database. Being an old osCommerce installation, there were some character format issues and it needed converting to UTF-8 to be compatible, which I identified and handled as part of the process.